The topic for this week is - drum roll please - Social media – can’t live with it, can’t live without it- impact on society ,use for promotion, effects on time management. How do you feel about social media? The greatest invention since sliced bread or a total time sink? The discussion starts right now at Janet's blog. We'd love to hear your opinion! What is the creepiest thing that’s ever happened to you that you just couldn’t explain? I can hardly wait to read all the creepy stories! Come on over and share yours with us. In the end, everyone's a geek at heart. What's the thing you get stupidly enthusiastic about that no one else gets? 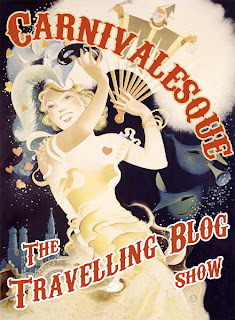 Carnivalesque - The Travelling Blog Show! This Thursday begins a new venture for me and four of my writing friends. 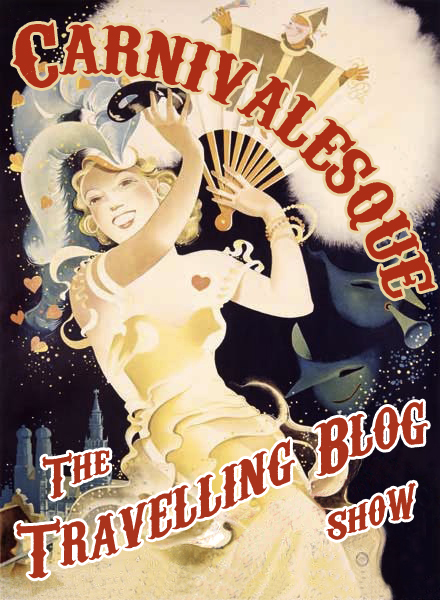 Every Thursday we'll take turns hosting Carnivalesque - The Travelling Blog Show, where we'll discuss reading, writing, pop culture, and anything else that interests us. This week we'll begin at the blog of Karyn Good at http://karyngood.com/blog/ Our first subject is "It's called the romance genre, but what's romantic about it?" So come on over and join Karyn, Janet, Joanne, Hayley and me for Carnivalesque. We want to hear what you think is romantic about the romance genre. See you there!